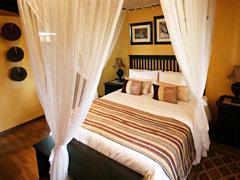 Welcome to the Emdoneni Lodge, Hluhluwe, Kwa-Zulu Natal, South Africa. 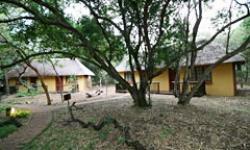 Emdoneni Lodge is situated on a small game farm in the heart of Zululand, outside of Hluhluwe, in northern Kwa-Zulu Natal, which is the most visited tourist location in South Africa. 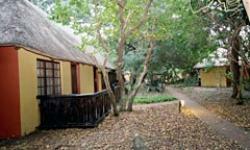 Emdoneni Lodge is situated on a small game farm, with sand forest vegetation. 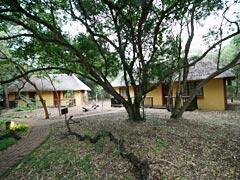 On the premises, you can walk with the Wildlife including Wildebeest, Zebra, Impala, Nyala, Red and Grey Duiker. Birdlife is abundant. Emdoneni is a nature lovers paradise. Emdoneni Lodge and Game Farm offers guests intimate and comfortable 3-Star Game Lodge Accommodation in the form of Chalets and rondavels, on a dinner, bed and breakfast basis, allowing guests to sample the delights of true South African hospitality and cuisine. Before and after dinner, join us for evening drinks around the fire, at the Boma or on the sundowner deck. Picture a romantic setting of untamed bush and spectacular skies, for a couple in love, to exchange their vows and have a wedding ceremony at Emdoneni Lodge. 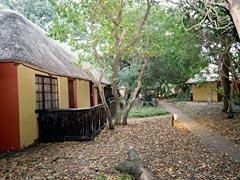 Spend a day or two on the premises... enjoy the swimming pool and lapa and have drinks around an open fire. 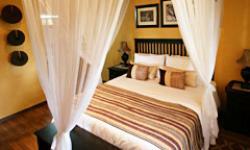 Our restaurant provides excellent traditional South African cuisine - join us for a 4-course dinner (lunch on request). Emdoneni has its very own Cat Rehabilitation Centre which offers guided tours.